In my last post I mentioned that District enrollments are down by over 900 students and how that translates into fewer earned teaching units from the State. Those enrollment numbers also mean a decrease in school discretionary budgets, because those funds are calculated based on actual enrollments. Not only are buildings seeing fewer discretionary dollars because of referenda failures, but also because of fewer kids coming to District schools. 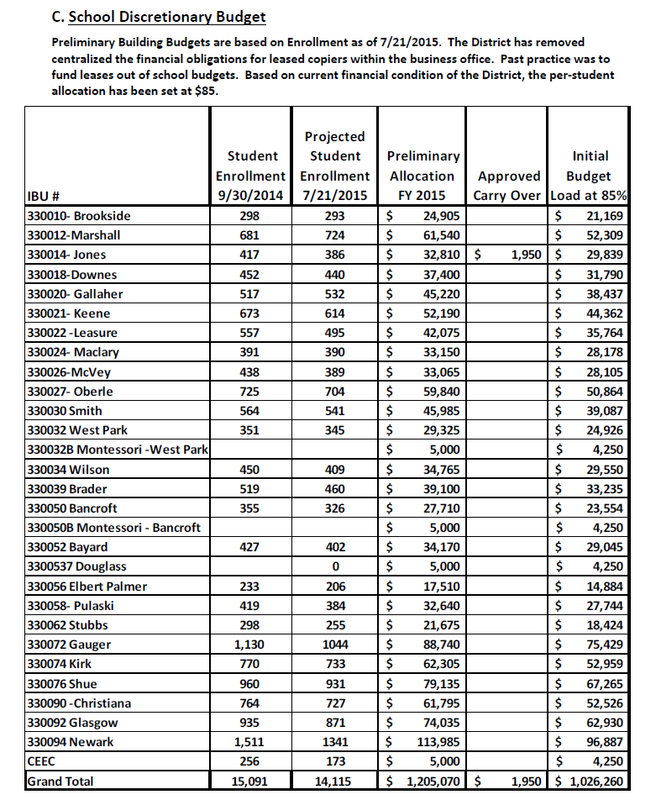 The table below shows student enrollment by school in 2014, the projected enrollment as of July 21, 2015. Based on 7/21 numbers, each school has a preliminary allocation for this year and of that allocation, 85% is “pre-loaded” into their accounts at the beginning of the school year, before all the taxes come in during the month of October. Some of the decrease is attributable to Charter and Choice migration too, let’s not forget that.